We are all set and ready to send our Christmas cards! 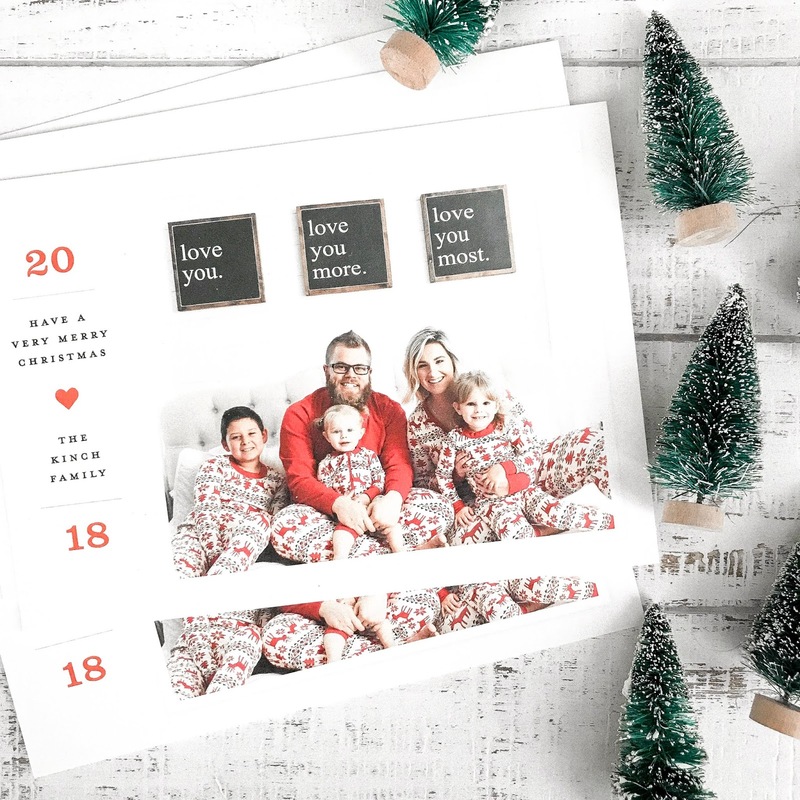 Back in September we were working on a fun campaign with Hanna Andersson so it gave us an opportunity to shoot some family pictures all decked out in Christmas jammies and it was the perfect chance to jump on ordering our cards right then. We used Minted, which we have for a handful of years now, and couldn't be happier. I used to stress and stress over if the card should have our whole family, if we should match, coordinate, only have the kids, include the dog, inside or outside... and then thinking about looking for a perfectly styled design was another thing to add to the bundle. Previous years, I spent days looking for the right card that eluded Christmas, our family, simple and classic, yet fun and unique and because we chose to jump on doing them early, I had no stress. 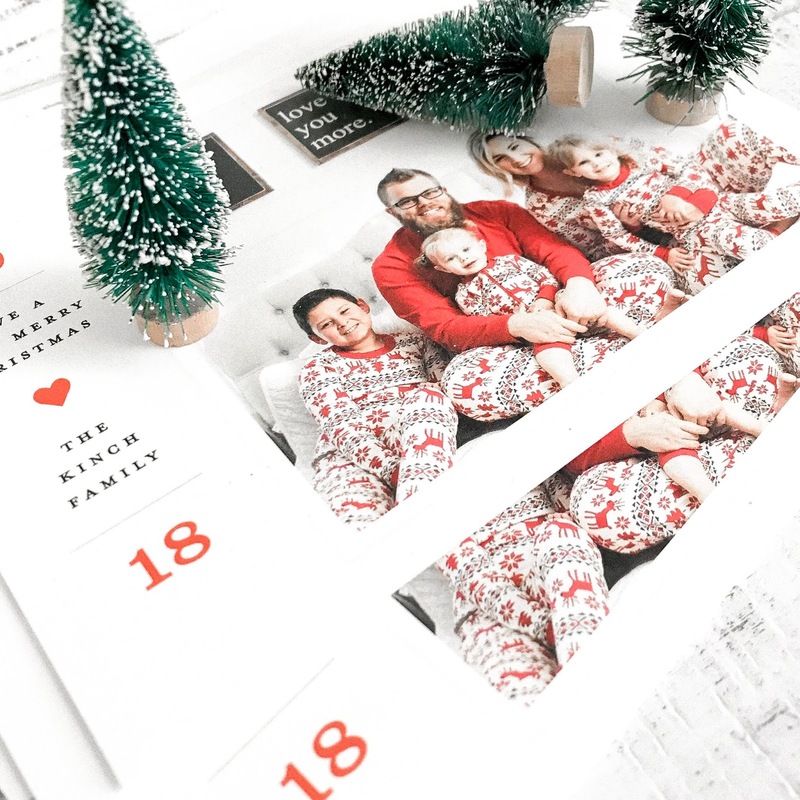 I looked over Minted one night, picked 3 I liked on the first page of their Christmas card selections and popped our image in - BOOM - done. Picked it and ordered within 20 minutes. That's the way to do it. But all that said, I want to encourage you to enjoy the process of sending Christmas cards! Shouldn't it be a fun time being able to update family and friends with your year? Hopefully you can remind yourself that in the hustle and bustle this season brings.